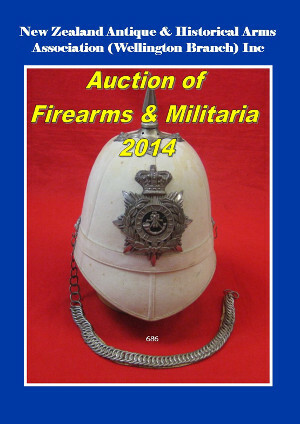 Each July the Wellington Branch NZA&HAA holds a large militaria auction. 2017 will be the 33rd year of operation, and the Wellington Branch has certainly seen many milestones. We take pride in the fact that as a voluntary organization we have run this significant annual activity continuously over the last 30 plus years. The date for the 2017 auction is confirmed as the 14 - 16 July 2017. Items are no longer being accepted for inclusion in the 2017 auction, but we encourage any potential sellers to contact us about items to include in the next auction to be held on 23rd September 2017. Of special note again in the 2017 auction is another large selection of items from the Ian Rasmusen bayonet collection. This was an international quality, comprehensive collection of bayonets, swords, fencing equipment, knives, daggers etc. Once again a unique opportunity for collectors to acquire seldom seen items. 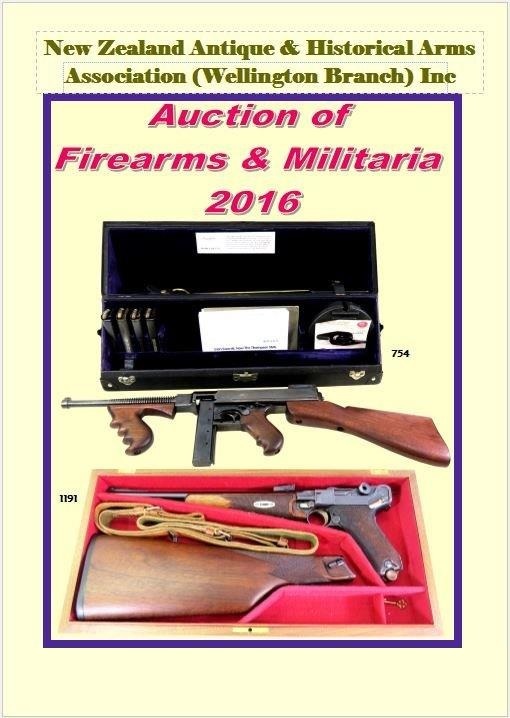 The New Zealand Antique and Historical Arms Association (Wellington Branch) Inc, has indeed been privileged to undertake the sale on behalf of the family. Ian was not only a well respected and active member of the Wellington Branch, but also of many other collecting organisations throughout the world. He had accumulated his collection and a wide knowledge over the last 40 years. Truely a sale that all true bayonet and knife collectors will not want to miss. Note that given the size of Ian’s collection, his collection was split and it was planned to be sold over a period of about 4 years. Approximately 1/4 of Ian’s bayonets and some other selected items (including rifles, helmets, books and china) will be up for sale each year. The Branch would like to thank all the vendors and buyers; and in particular our members and friends who help bring together each year’s successful auction. Please note that the Club has prepared a special DVD of pictures and descriptions of the items from the Ian Rasmusen collection. The price of this DVD is $NZ10.00 plus postage. Click here for more information. Download the DVD order form of Ian Rasmusen Items below.